Manufacturer of a wide range of products which include laminated transfer blocks. Backed by rich industry experience and expertise, we have been able to offer a wide array of Laminated Transfer Blocks. 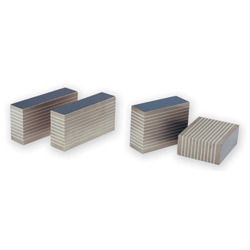 Applicable for various industrial applications, the offered blocks are developed with the aid of modern machinery and technology. Apart from this, we are offering these transfer blocks in different specifications at industry leading prices. Looking for Non Magnetic Tools ?